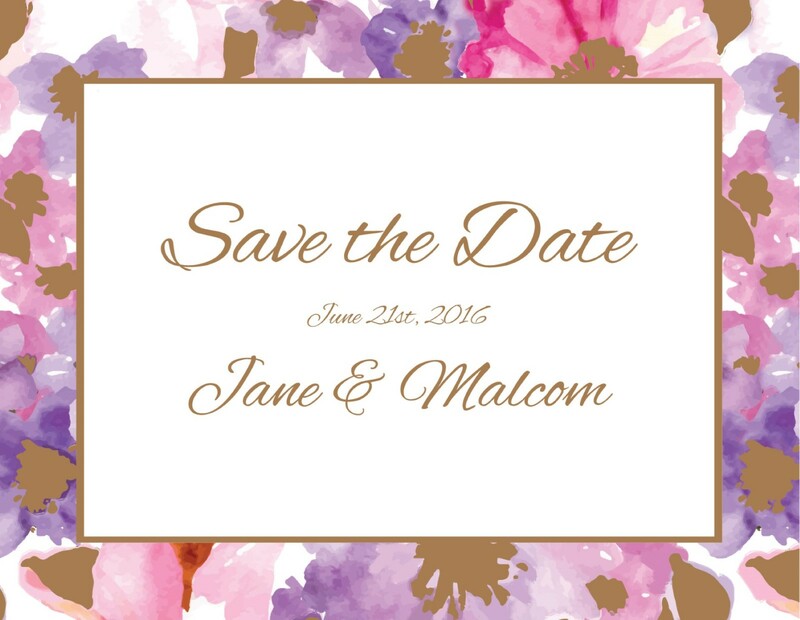 This save the date card is from the modern wedding invitation set, 'Spring'. 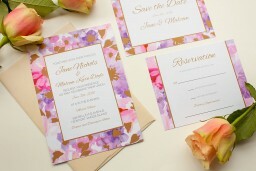 This set features a pink, blue or purple floral design that is brought to life with a metallic feature. This metallic element paired with the elegant font make these invitations irresistible to those who love to keep things simple, sophisticated and classy. This design is available as both a digital only or foil print. 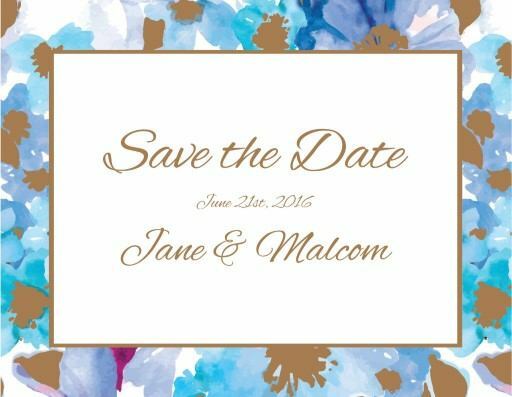 With colors that jump off, this is the perfect wedding day save the date card. The colorful, vibrant floral pattern makes it hard to not remember all the important information that the card is sharing. Combine that with the perfect font color and you have yourself one of the most memorable save the date cards ever.